Authors: Peter Lunenfeld / Anne Burdick / Johanna Drucker / Todd Presner / Jeffrey Schnapp. Publication: The MIT Press, November 2012. There are a number of unique things about this book. First, it was written by five leading practitioner-theorists in digital media and digital humanities. Another unique thing is that each chapter was written collaboratively. I don't know of any other academic book written by leaders in their respective fields that was created in this way. 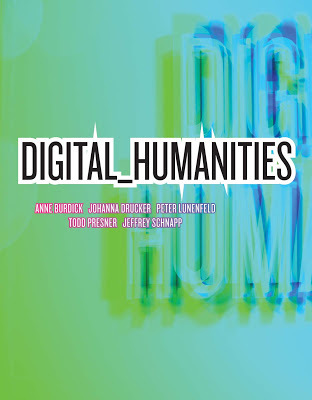 Unlike most academic books, Digital_Humanities has sophisticated graphic design. This is also the key message of the book - that the design is essential to digital humanities. This much needed perspective was so far missing from the field. And finally, you can download the pdf of the book for free. "Digital_Humanities is not a standard-format academic work. It is not a collection of individually authored scholarly papers or research reports on the history of, or critical engagement with, the Digital Humanities. Neither is it a textbook from which to teach the discipline’s foundations nor a manual of technical specifications, much less a discussion of every facet of the field, its protagonists, successes and failures, and defining moments. In lieu of a bibliography, it includes a “reference network” and list of works cited." the research questions that it poses." 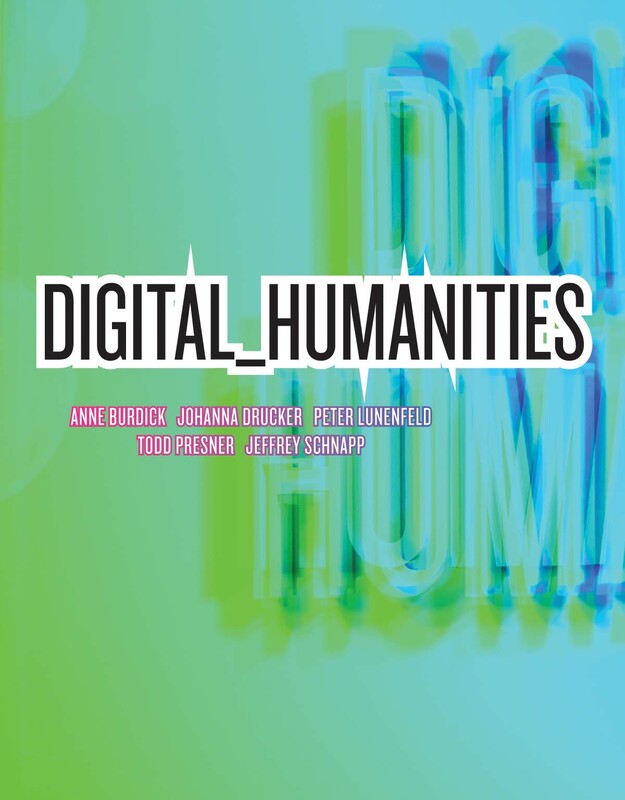 Digital_Humanities is a compact, game-changing report on the state of contemporary knowledge production. Answering the question, “What is digital humanities?,” it provides an in-depth examination of an emerging field. This collaboratively authored and visually compelling volume explores methodologies and techniques unfamiliar to traditional modes of humanistic inquiry--including geospatial analysis, data mining, corpus linguistics, visualization, and simulation--to show their relevance for contemporary culture.